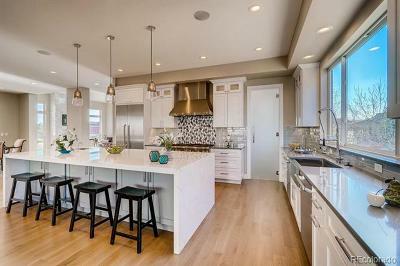 MLS#: 7692794 - Courtesy of Re/Max 100 Inc.
Gorgeous, Complete High End Remodel! Perfectly placed back off the road on 1.92 acres amongst towering pines & aspens w/stunning views of distant mountains & dramatic rock outcroppings . Total feeling of privacy and seclusion on easily accessible paved roads and flat driveway. 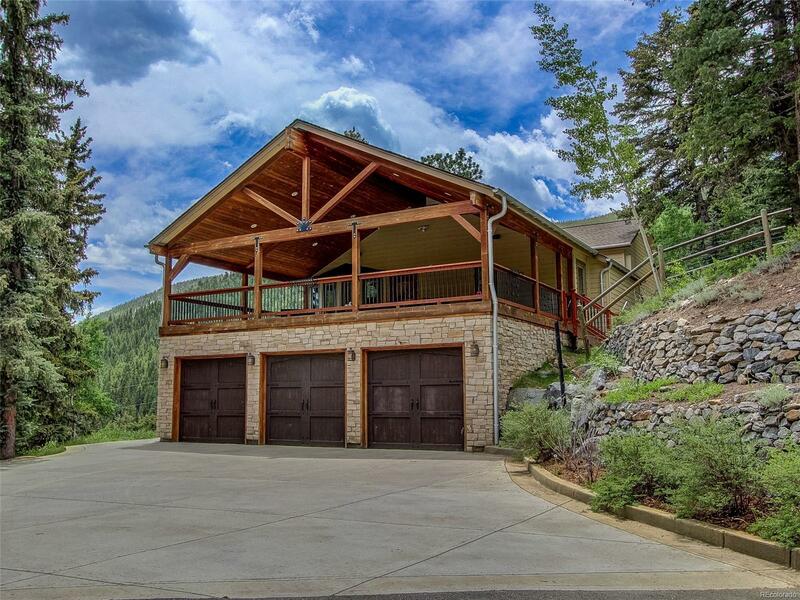 Amazing open floor concept features spacious great room w/double-sided, rocked, gas fireplace, 17' vaulted ceiling & numerous oversized windows & skylights that take in the sweeping mtn views and natural light. Kitchen has Dacor 6-burner gas range, hood, slab granite, Kitchenaid SS appliances, Crystal cabinetry & unique island w/seating, 2nd sink & beverage fridge. Great master retreat w/views! Walkout lower level offers a fantastic recreation area w/soundproofed, high end theater room, family room w/built-in bar & fireplace, fitness room, 4th bdrm/office & newly remodeled full bath. Outdoor living areas abound - spectacular 720 sq ft covered deck/porch w/views in addition to a second wraparound deck off kitchen. Builder Name 2: Awesome Remodel!